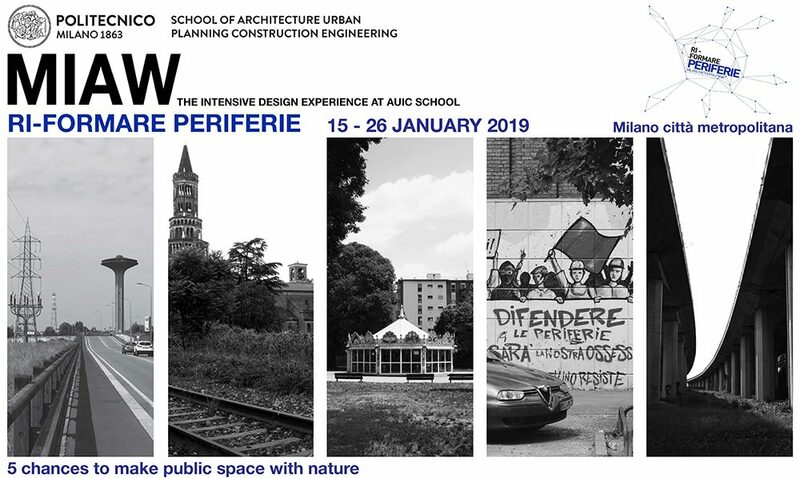 The MIAW-Milan International Architecture Workshop is the international intensive programme at the School of Architettura e Società, it provides an international design forum for schools, teachers and students, but it is also an informal platform to discuss issues and share ambitions that education implies.Its aim is to stimulate cross-over thinking between researches and practitioners in the design field, involving different scales and encouraging an interdisciplinary approach towards design problems. Each class has an International Guest Professor of high profile whose activity and interests are related to the different Study Courses and Disciplinary areas characterising all our school. In the past editions, 2014 and 2015, Miaw studios were concentrated on a series of abandoned buildings and areas of strategic interest for the municipality of Milan.In this edition 2016, all the projects will focus on the renovation and expansion of Leonardo Polimi Campus, on the base of a selection of sites which, inside or outside the actual boundaries, can be of great interest for the immediate future of our campus.Considering that all the professors have a personal experience of universities’ environment, our workshop would act also as a call for ideas, inviting you to answer this simple question: how should be today the spaces for teaching, learning and sharing experience in a school of architecture? We hope that the workshop can produce proposals of spaces and facilities of new generation, which can figure out the best condition for the educational habitats of the immediate future.